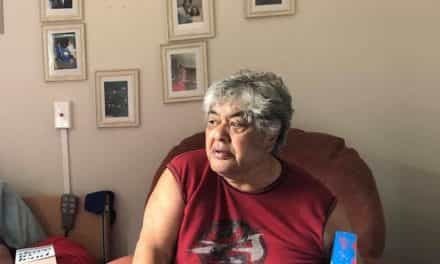 Paora Joass-Moyle and her brothers have been victims of the kind of abuse and neglect that has finally prompted a Royal Commission of Inquiry into how children in state care were treated between 1950 and the end of 1999. 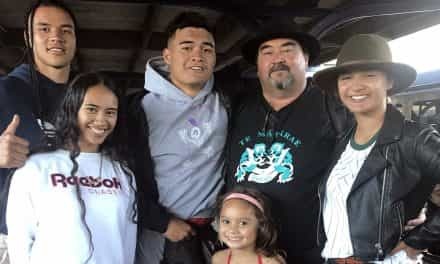 Paora’s 14 years in state care, as well as her many years in social work, has led to her becoming a fierce critic of a system that, as she tells Dale in this interview, still mistreats children in its care, and still takes children from their families for reasons other than neglect and abuse. 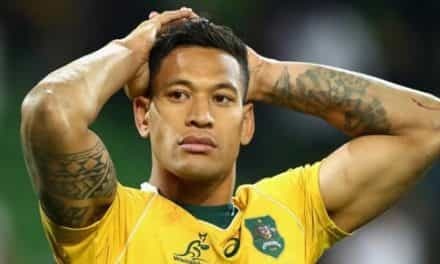 Kia ora, Paora. Could you start by telling us about your whānau and your life as a kid? I didn’t know much about my upbringing until later in life when I accessed my DSW — Department of Social Welfare — notes, because I was a kid that was brought up in care. 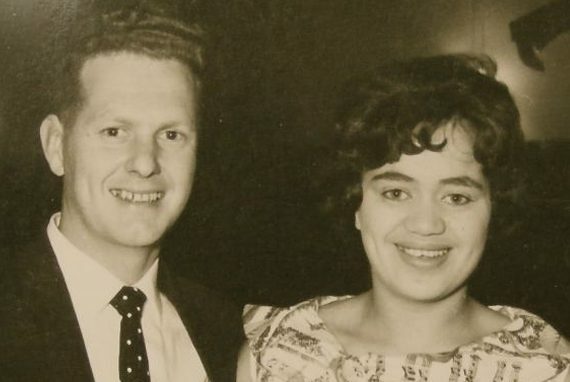 How it all happened is I came from a biracial union, and back in those days, biracial unions between Māori and Pākehā were not the done thing. It was breaking the social norms. My parents were from a working-class background. My mother (Inumia Karawhata) is Ngāti Porou on both sides, and she and Dad (Steve Moyle) got together and Mum became hapū quite quickly. The families didn’t see eye to eye with each other, so they weren’t able to get consent to marry. So they eloped. And very quickly Mum had a succession of children — four under the age of five — and that was a lot for a young couple in those days. 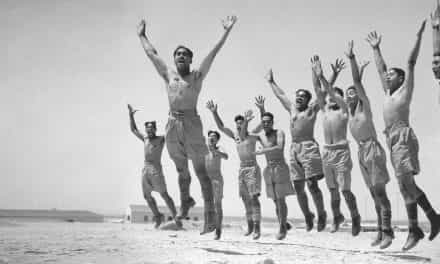 It was post-war, and everyone was doing their bit, and Māori were being “encouraged,” shall we say, to go to the cities to work and do their duty for post-war recovery. My father went to work in the meatworks, and Mum was at home looking after four of us and missing the support of our whānau. She comes from that collective upbringing, where there’s aunties and uncles and everyone kinda looks after one another. Mum didn’t have that, and she quickly got very lonely. And Mum and Dad started fighting, and my Pākehā grandmother called the authorities. And when they get involved, they really get involved, and it wasn’t long before we kids were uplifted. When you look at the notes, it’s built on my mother and father breaking the social norms of the time, and Mum being deemed mentally unstable because she wasn’t handling things at home, supposedly, and we were deemed better off in the care of the state. Long story short, we were never returned. We were seen to be better in state care than back with our parents or anyone on either side of our whānau. What we experienced as little ones was not what children are supposed to experience, and it’s not till much later in life that we were able to talk about what we did experience. Paora (second from right) with her brothers Tipene and Kanara, and sister Aperira. Do you mind me asking how it actually happened — getting taken into care? Were you, like, bundled into a car and hauled off into the night? Well, the social workers come in, and they assess and they make their decisions based on four blonde, blue-eyed, pretty Māori children. And in the DSW notes you can see that these children were considered to be easily adoptable. My father heard that, and when he went to the court to argue it, he asked that the children be kept together. Well, he only said that so I would let go. He never did come back, and I carried that all throughout my life. But it’s true — you’re very much like a bundle of clothing. They pack you up and put you in the back of a car and shift you from one place to the next, and you really don’t know where you’re going. It’s a very lonely journey. They don’t listen to children. It’s a bit like bobbing around in a basket on an ocean where you’ve only got yourself to rely on. I couldn’t look after my brothers, often because there were adults who interfered with this, and we were separated, and then they’d bring us back together. Dad had said: “Make sure you look after your baby brothers.” But I wasn’t always able to do that because I was so tiny at the time, and as the years roll by, you just get shunted around, shifted around, and it’s like you’re a sack of spuds, really. It’s really hard to recall, to reflect back, because, at that time, I just thought it was normal. I knew it wasn’t normal initially, when we were taken from our parents. That part’s just heartbreaking. It’s frightening. All you can do is hold on, hold on, and then they break your hold, and they take you away, and you’re screaming. You see it on films, kids being taken by the state, and it’s exactly like that. You have a few bits of your own clothing and maybe a toy or something, but it’s very light when you’re taken. You don’t know where you’re going and you’re with strangers, and sometimes, when those strangers are not looking after you and take advantage of you, you reach for another stranger to help you, and they do exactly the same thing. Back then it was just constant shifting, and there seemed to be a lot of adults who would take advantage or enjoy power over children, and you were warned to be very hushed about whatever went on. You just did not tell. But of course I did tell. I told at every opportunity. And as soon as you are telling when you’re not supposed to, you get a harder time and are called a little inbred or a troublemaker, a liar, somebody who makes stuff up. Especially if you come from a Māori background — you’re deemed already broken, and non-believable. It is still like that for a lot of children in care. Were you ever able to rekindle a relationship with your parents? Where were they during the period that you were with others? Mum went through a mental breakdown — a broken heart after she’d lost us. And, of course, the system wasn’t designed to look after women, especially Māori women back then. If you got locked up, you were locked up, and Mum tried to avoid that. She met another man, got married, and had four more children that she was able to raise on her own. But, in the meantime, her other four were in care. My sister was with the Pākehā grandparents, and myself and my two brothers were in state care, in faith-based children’s homes. And a lot happened. I remember many times Mum coming to the door, knocking and asking if she could see her children, and they would turn her away because it would be deemed to be unsettling for us. And that was true. Every time my brother heard her he would play up, he would rebel, he would scream for his mother. And because he played up so much and was really quite frightening, they took him, at eight years old, and put him in to Cherry Farm, with adult patients. And you can imagine what happens to a child when he’s placed with adults that are unwell. But, yes, we did get to meet our parents later on in life. There’s research that says when children leave care, the first thing they head for is what they know to be home, or somebody that is related to them, if they have that knowledge. The first thing I did was head for the East Coast, and I found my grandmother, and I got to know my mum and her new partner and their children, and I got to see my father, who had settled and remarried in Melbourne. The short and tall of it is, as soon as we left care, both my brothers and my sister went over to live with my father in Melbourne. 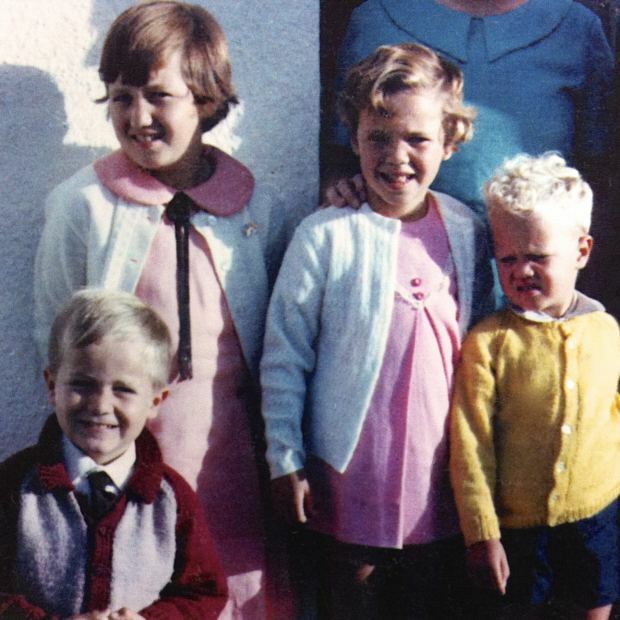 I stayed pretty much around my mum and the four half-siblings, and went on from there to grow up and get into all sorts of trouble, and anything that would medicate the years of horrific treatment I had to endure. Can you talk about that abuse? Can you see the people that did things to you? Do you know their names, and are they still alive? When you’re in a children’s home, quite often elders of the church come along and pick up children, take them away on weekends and school holidays and outings, because, you know, we were the underprivileged, and they get accolades or brownie points for being good to underprivileged children. My brother talks about a particular person who is now quite high profile in New Zealand. That person didn’t take my brother to give him a wonderful time with his family, he took my brother for purposes of his own gratification. My brother doesn’t speak up about it. He has his voice through me. And that’s why I’m very vocal about what happens to many children — not all children, I should stress — but many children in state care. They become nobody’s children, and they’re very easily accessed by undesirables, and, yes, it’s still happening by people who have a lot of power. Because when you have power, and you’re white, you know you’re believed, and it’s hard to pinpoint. Do I still see those that abused me? No, many of them are dead now. We’re talking a long time ago. But you can’t hide forever, can you? We’re looking at the Catholic Church now going through this exercise, and people are being exposed for the evil that they committed upon kids like yourself, and that’s appropriate, isn’t it? I think they should be held accountable, absolutely held accountable. Australia’s Royal Commission on child sexual abuse found that 60 percent of children who went through faith-based Catholic care were sexually abused. That’s more than anyone ever would have thought. It’s exactly the same when you look at colonised countries and what they do to their indigenous children. Those are big numbers, and when you listen to the kōrero of some of those who did the abusing, you realise that they’ve been indoctrinated to the point that some of them believe it’s connecting the child with God, directly through them. There’s some really scary rationales as to what justifies doing what they do, but really, at the end of the day, they’re taking a child’s innocence. There’s no consent there. Children can’t give consent, and they go on to be really damaged in their adult lives, and you never really get over it. Your childhood is stolen, and it costs on a collective level — it costs countries huge amounts of money to deal with the fallout. Here in Aotearoa, we’re talking about whakapapa trauma, intergenerational trauma. We’re talking about colonisation and children being taken by the state as a result of out-and-out racist decision-making. Many of those children shouldn’t have been taken — and even now, I’m calling it out, that children are still being taken for reasons other than the need to protect that child from abuse and neglect. That’s going on right now. And when we talk about neglect, let’s recognise that sometimes decisions are made around people being in poverty and not being in the right housing and living in their cars. That’s not neglect. That’s not the abuse of the carers. That’s a state that they’ve been forced into, and we as a society are not taking responsibility for that. What happened to my brothers and me as children has catapulted my voice into still talking about it now. It’s mostly under-fives that I’m concerned about at the moment, and that’s why the Royal Commission is really important. Āe, the state has ignored its responsibility to protect and care for our Māori kids. I feel for them, because when evil things have happened to you, it’s very hard to form relationships, it’s very hard to get back on an even keel. 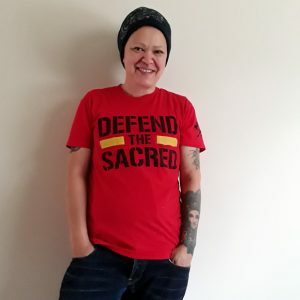 A few years ago I spoke to a guy who was brutally sodomised by the guards in one of our mental-health institutions, and he never came to terms with it and ended up taking his life. You’d know dozens of examples like that. Yeah, there are well over a hundred children that I met in my 14 years in different homes and facilities, and more than half of them talked about being abused while in care. It was very rare to come across somebody who hadn’t been tampered with or damaged in some way. And when we talk about damage, we’re talking about being taken away from everything that we know and placed with strangers. That has a traumatic impact on young children, because there is nothing to cling to. You’re just hanging by a thread. And very often we talked quite normally about not being here in the world any more. It was always an option available to us, to leave, because of a lot of what was going on for us, day after day, year after year, waiting for our family to come and get us, except they never did. And we learn later in life: it wasn’t that they didn’t want us, but they were prevented from coming to get us. 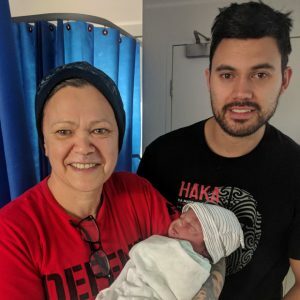 Paora with her son Chad and her newly arrived first moko, Luca Tipoki Moyle. Did you, or your brothers ever consider taking your lives? Oh yeah, I talk quite openly about it. I call it being at the door, and the feeling you get when you absolutely know that the pain is going to go, and there will be no more hurt, and something stops you. I’ve been ill over the years, and you get tired of being the bad guy and challenging and being called a liar and a troublemaker, and challenging your academic mates with a lot of power. But I’m stronger now. And my boy’s still there and he’s saying: “It’s all right, Mum, I’m your best friend. I’ll always be here for you.” That boy was raised beautifully. The state never got him, and he’s just had my first moko with his wife, and that is what makes it worthwhile. My brothers never had wives or children, but they’ve enjoyed being uncles to my boy and having fun with him and raising him just like their own — and now he’s brought a gift to all of us. So we live and we tell our stories through my kōrero, and we do it on behalf of those children who don’t have a voice. I see the nice PR stuff that Oranga Tamariki comes out with when they talk to kids, but there’s a lot more of our whānau who are telling the opposite story and saying this is what’s really happening — and they don’t get a look in, so I’ll never be quiet, Dale. I’m still in social work, I’m teaching social work, and I get a lot of joy out of that. I think there’s something about taking experience and, like my boy said, turning it into positive energy and bringing the real-life kōrero back on the table so that we can discuss everybody’s truth and really find out what else goes on out there. Your brothers didn’t become fathers. Do you think that that’s a consequence of this stuff? Directly, yup. They did not become husbands or intimate partners to anyone. They chose not to, because they were ruined. How old are they now, Paora? I don’t want to talk too much about them, but, remember, I said we were all under the age of five. We were probably about nine or ten months between each of us. I guess you could say Mum and Dad really liked each other. Look, it’s an uncomfortable kōrero, obviously, and more than uncomfortable, it’s disturbing. You’ve got a deep distrust of the system, and we think back to the Hunn Report, the people that hide behind the cloth and do what we’ve discussed has been done: sexual, physical, verbal, psychological abuse. Is healing possible? It is, and like I say, I’ve had a lot of healing, and I love my life. You can stay stuck, and some of us do, but some of us use the energy and we go on and we do something with it. I’ve chosen not to be quiet, not to go with the status quo, but instead, to raise up the issues that need to be talked about and brought to light, and to find ways forward. I don’t believe that Oranga Tamariki has always got it right, and I don’t believe that what they’re doing is going to make a great deal of difference. I’m interested in having discussions about Māori models, Māori methods of healing, and bringing together and reconnecting and taking responsibility for yourself and for your own whānau. In education at the moment, we’re looking at bringing back Kotahitanga again after 15 years, and I think we can do that with the Mātua Whāngai programme and Puao-te-ata-tu as the original blueprints to guide us. There are always solutions, and I will never cease looking at what actually works for our babies. Are you prepared to name people? But, you know, they’re all dead, Dale. They’re all dead, so what does it matter? But, if you’re asking me on a personal level, I’ve put so much energy into being positive and being solution-focused that I wonder what’s to be gained from going back and naming the ones that did all the damage. Because, in some ways, that has fuelled my energy to do the right thing, to stand up and be accountable, to be tika, to be pono, to do it with aroha and to be a light, to be a leader, to be a voice for many that aren’t able to do that. I’m into helping people heal. So I have thought about it, but at the moment I haven’t made a decision on that. Do you think that in the course of the inquiry others will be tempted to do so? 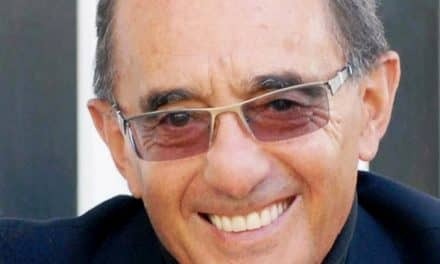 Naming people who have passed on and been laid to rest, with solid reputations that were perhaps undeserved? Yes, I have thought a lot about that, too. Faith-based institutions have a lot to answer for in terms of not screening people and not following up on complaints. There’s a lot that I am still thinking about in terms of decisions that were made, or practices that didn’t happen, that would’ve made children a whole lot safer. And I think it’s worthwhile looking at that, recording it, and learning how to do the right thing, so that, in future, we’re able to be accountable in terms of children being safe in care. And if we have to uplift children, then let’s make sure that their human rights are upheld. 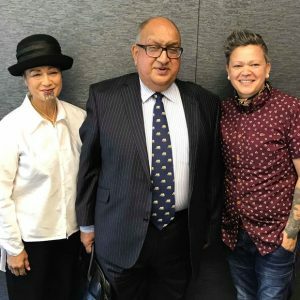 Paora (right) with Donna Awatere-Huata (the chief claimant in the Waitangi Tribunal claim on abuse of Māori children in state care) and Sir Anand Satyanand, the chair of the Royal Commission of Inquiry into Historical Abuse in State Care. I note that you refer to yourself as “mōrehu,” a survivor. I see that some 350 people have put through submissions to the inquiry, but who benefits most here from the telling of these harrowing stories and the realities being confronted by us in modern times? The mōrehu or the state? It’s the state. It’ll always be the state. I haven’t seen — in many, many, many, many years of many different reports or processes of people speaking up — where the victim gets to really have a voice over and above the state. 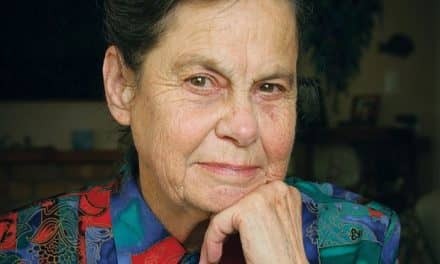 I think the most powerful thing that we can get out of the Royal Commission is a safe place for the many thousands of survivors to be able to tell their story, so that their healing can begin. Many of them still hold on to the trauma, and they are stuck in many parts of their lives. They have not properly developed from childhood, from when the abuse started. I think with the little bit of pūtea that we have for this limited time frame, if that can be used to allow those ones to tell their story, then I think something will have been gained from it. But I’m hoping that we have learned the lessons we need to, and what we’re actually doing is uncovering the causal factors that go into not looking after children properly. What we need is a child protection reform, a true reform, not just a rebranding. State abuse did not suddenly stop in the year 1999. 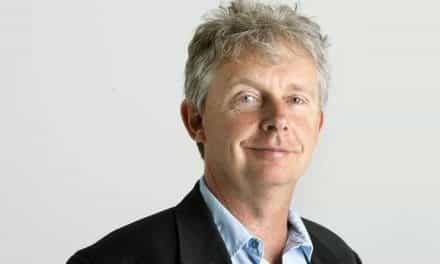 Some of the worst abuse of children in state care has occurred in the last 18 years, according to Cooper Legal who represent hundreds of survivors. Do you think it is more difficult for guys to speak of this stuff than wāhine? I saw some of the guys on The Hui, and, you know, these are staunch-looking characters, but they’ve got these ugly tales about the realities of their childhoods. Is it any easier for wāhine to speak of these matters than men? In fact, women are not speaking up as much. When you’re a child, it doesn’t matter whether you’re a boy or a girl. It’s not about gender. Pain is pain. An adult taking advantage of a child when they’re in a powerful position of responsibility is anathema to me. I think our men are different in that we don’t have a society that allows them to be vulnerable, and it takes a lot of courage to bring forward vulnerability. You know what I mean — you’re not a man if you cry, which does put the kibosh on it a lot. That’s why the Royal Commission must be centred around the place being safe enough for men, women, and anybody who’s been abused in state care to tell their stories, because every one of them has a story to tell and are worthy of it. It’s called a Royal Commission of Inquiry, which seems a bit grandiose, doesn’t it? I mean, we’re all a bit dark on the colonisers and what they’ve taken from us, the systems they’ve imposed upon us, so as Māori people we don’t immediately warm to the term “royal.” Could there be a more Māori way to approach this? 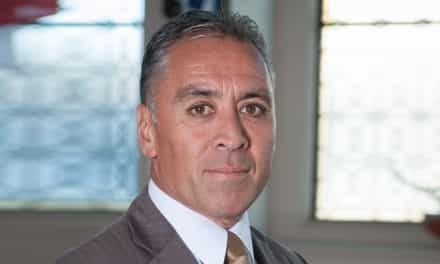 Well, if we can’t do it through the Royal Commission channel then the only other way is putting a claim through the Waitangi Tribunal, and we’re doing that anyway, because we’ve not been listened to, we’ve not been treated well, and we are not given Māori space or tikanga Māori in order to be heard. 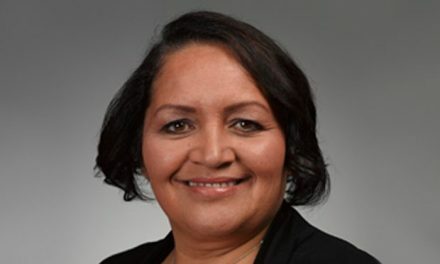 I’ve been advocating for a bicultural approach, which to me means that we don’t just have Sir Anand, but also a Māori Commissioner. And whatever powers that Sir Anand has, we have on this side as well, so we have a Māori stream and a non-Māori stream of listening. That includes listening to whole whānau, because it’s not just the individuals. These are gaps in whakapapa, and there are nannies who have borne the brunt of years and years of missing out on their mokopuna. When you look at the numbers, there are way more Māori who were caught up in the state’s net. Two-thirds of those who went through state care are Māori, so the resourcing would need to match the numbers of those who have gone through. So there’s much to look at and talk about, but, for me personally, I think a Te Tiriti-centred process is absolutely key. If you’re going to have terms of reference, that’s where it sits for me. Otherwise, it’s like rolling out a great big flash shiny cannon that’s only got puff powder as ammunition. It looks powerful, but at the end of the day, it’s not equipped to fire. Is there anything else that you want to add, Paora? We have to start getting honest about what these things are if we’re ever going to look at the human rights of our indigenous children here in Aotearoa. Kia ora Paora & Whanau. My name’s Tash and 9 years ago, my husband and I became full time carers for 8 Aboriginal children when we lived in NSW. The kids (full-blooded siblings) are my husband’s sister’s children. Her partner and her lost sight of being a mum and dad and sadly by the time things came to the fore; they were far ‘too gone’ to reprise their parentage. Yup, you know the drill, substances, abuse, dv….the works. My husband and I were approached to have the children and experienced every emotional/ cultural and spiritual blackmail by DoCs NSW you could imagine until we assumed responsibility for the 8 kids. It was 5pm on a Friday evening Oct, 2009 when the children were forcibly uplifted from the whanau and almost 7pm by the time we got them home to our 3bdrm apartment. As you described the grappling of your Papa’s legs and holding on for dear life I almost couldn’t hold back the tears. It was exactly my kids experience and broaching the topic of abuse tipped me right over. Your korero is also that of my kids. Thank you for the courage it took when you shared. Moreso, thank you for the being your whanau voice and the voice for the many innocent tamariki who sadly continue to experience this soul destroying trauma. You encourage to keep doing the mahi I am doing. That it matters and that it is necessary. I wish your mahi and indeed you/ the whanau the very best! Mahia te mahi e hoa! Natasha. As hard and as heartbreaking as this was to read, ngā mihi ki a kōrua! For that wee girl, you are NOW able to tell her story and be heard. Words are powerful that way – ka aroha ki a Paora pēpi. Time is circular. I think anyway. I speak for the child that was me who had no voice, who no one would listen to, who people tried to silence. I speak for her now and I name those who hurt her. And it feels healing to do so.